Drone Dogs specializes in aerial photography in the Florida Keys. Drone photography in Key West, to the lower keys, Marathon, Islamorada, Key Largo in the upper Keys and the rest of Florida. We utilize the latest state-of-art in aerial platforms to provide drone photos in south Florida and the Florida Keys. We utilize the DJI brand providing a 20MP camera for video and photography here in the Florida Keys. 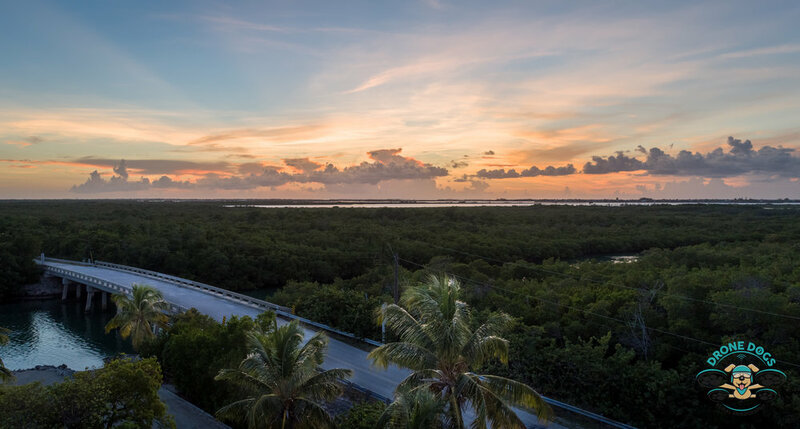 Drone photography in the Florida Keys can be challenging due to arispace restrictions and limited land access. But the reward to get those twilight shots, sunsets and water shots makes our results worth the extra effort. So why aerial drone photography in Key West? We feel aerial photos and video provides a unique perspective to you and your customer. Aerial photos and videography increase sales and promotion of your business, house or construction site. We are locals living here in Key West. We have strong defense contracting background in operations, custom software engineering and ArcGIS mapping solutions. We utilize the ArcGIS Drone2Map and ArcGis platform to provide aerial mapping and modeling services. We can map and model construction sites, buildings, marinas and the surrounding areas both land and water. We do not survey or interpret the maps, merely create them for a qualified certified surveyor. Aerial photography in the Florida keys has become our passion and this shows in our work. 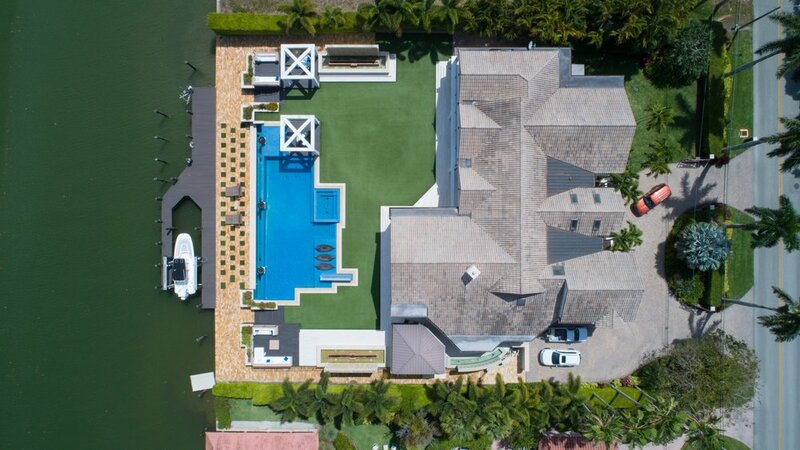 We love taking aerial photos of Key West, Marathon Middle Keys, and Islamorada and Key Largo Upper Florida key, Drone photography in South Florida is the new way to visualize land, house, events, boats or construction. Drone photography south Florida has a new dog in town. The Drone Dogs. We are excited to be created aerial videos and photos of the beautiful Florida Keys. We can help you with your aerial drone photo and video needs. We also do ground work using our state-of-the art gimbals and cameras to give you that buttery smooth cinematic video. This is what sells your Real Estate properties and helps to promote your resort or business. Now add some aerial coverage to your event in the Florida Keys and Wow! you just made your event go big time. The area news teams often ask for aerial footage that they can use on their local broadcast. This helps promote your event and make for even a larger turnout in the future. --Jim, Chief Pilot. Winner 2017 DroneU Fly-in. The Drone Dogs team is attending the DroneU FlyIn in New Mexico this week. How to find your DJI Phantom 4 Pro Serial Number. Flying Drones in Key West - Follow the City of Key West and FAA rules. Sec. 26-300. - Purpose and intent. It is the purpose of this article to provide the residents and visitors of the City of Key West protection from invasions of privacy, and reckless operation over crowded areas, due to the rapid implementation of drone technology being put into use by individuals and business entities. The unregulated use of drones also poses a significant public safety concern to individuals and property on the ground and other nearby aircraft in the event of malfunction, operator negligence, loss of control, or other inability to sustain flight as intended. Nothing in this ordinance is intended to prevent, prohibit, or regulate any type of drone or remote controlled model aircraft that are otherwise permitted by the FAA for recreational use, or any operator who lawfully possesses a Certificate of Authorization or Letter of Exemption issued by the FAA. Drone means any powered, aerial vehicle, that is either fixed wing or rotor-operated, that does not carry a human being, which uses aerodynamic forces to provide the vehicle with lift, that can fly autonomously or be piloted remotely, and that can be expendable or recoverable. No person may operate a drone, whether or not it has the capability of capturing or transmitting audio, video, or still images within or over the City of Key West, unless the drone operator possesses either a certificate of authorization, a letter of exemption lawfully issued by the Federal Aviation Administration, or unless the operator is using a drone strictly for recreational purposes pursuant to the Federal Aviation Administration Interpretation of the Special Rule for Model Aircraft cited as 14 CFR Part 91 and attached as Exhibit A. There shall be one verbal or written warning for any first time offender of this article provided that compliance is immediately achieved. Subsequent violations of this article shall be punished consistent with section 1-15 of the Code of Ordinances for the City of Key West. To all fellow members of MLKAR. THERE ARE NO EXEMPTIONS when it comes to flying drones in a business or commercial operation. The operator must be licensed by the FAA. Furthermore, no one can fly a drone in MTH airspace without first getting permission from the Airport Operator or Air Traffic Control. Anyone with interest in operating a drone themselves, or in hiring someone to fly a drone for aerial photography should watch this interview with TJ Henderson, Airport Manager, MTH. X-ray drones can see through walls. A Pair of drones can use Wi-Fi signals to see through walls. The Drone Innovation Act of 2017 was introduced by Representative Jason Lewis on June 16, 2017. It was referred to the House Committee on Transportation and Infrastructure. Army Has Tiny Drone Plane to Scout Enemy' superimposed over side view of small plane ready to take off / soldier inserts camera into drone plane / montage soldiers fix the plane into position on its catapult / CU the camera inside the plane / front shot plane sits on catapult, ready for takeoff / CU soldier's hands push down on releasing device / plane launches off catapult and flies away / CU soldier works with joystick; pan to plane flying / plane flies toward and past hilly area / parachute opens on plane / plane falls to earth with parachute and parachute collapses to ground / tilt down shot officers watch / soldier unloads the camera from the plane and turns toward a jeep / plane launches off catapult / POV from plane camera as it flies over the ground. You Passed the FAA Part 107. Now What? 1. Go to the ICARA site and 'register' for a new account. Step 2. Click 'Register' to start your account registration. * Register as an 'Applicant' so check the Applicant checkbox. Step 3. You will receive an email confirmation with the subject: "IACRA Registration' from the FAA helpdesk. This will confirm your IACRA registration and account info. Step 4. Using your new account info, log into the IACRA site. Step 6. Start the application. Step 7. Wait. you can check the status of your application on the IACRA - Applicant Console. Step 8. Receive your temporary certificate. As you can see in my IACRA console, I have just received my Temporary Certificate. This took ten days. Not too bad at all. I will print this out and keep this with me and my drone until my final Certificate card arrives in the mail. God bless the smart phone. It has made being a Drone Pilot all that much easier with the many useful apps to aid you in your daily mission. - FAA Part 107 sample quizzes and tests for studying. Very helpful. SkyVector -- use Safari to open at SkyVector.com since there is no app. sUAS (Drone) Operating Requirements "Flying Over People"
Here are the Operating requirements for the Small UAS Operator. Please DO NOT fly your drone over people. Never, just do not do it. Call Drone Dogs, we know the rules and can legally fly for commercial purposes. • Having a plan of action that ensures the small UA remains clear of persons who may enter the operating area. • Adopt an appropriate operating distance from persons not directly participating in the operation of the sUAS.